Every evening when I get back from college the first thing my hands itch for apart from food is a newspaper. Now we get four papers sent to my house every morning – The Indian Express, The Hindu, The Economic Times and Dina Thanthi. I love the smell of fresh newspapers and the way they feel between my fingers. 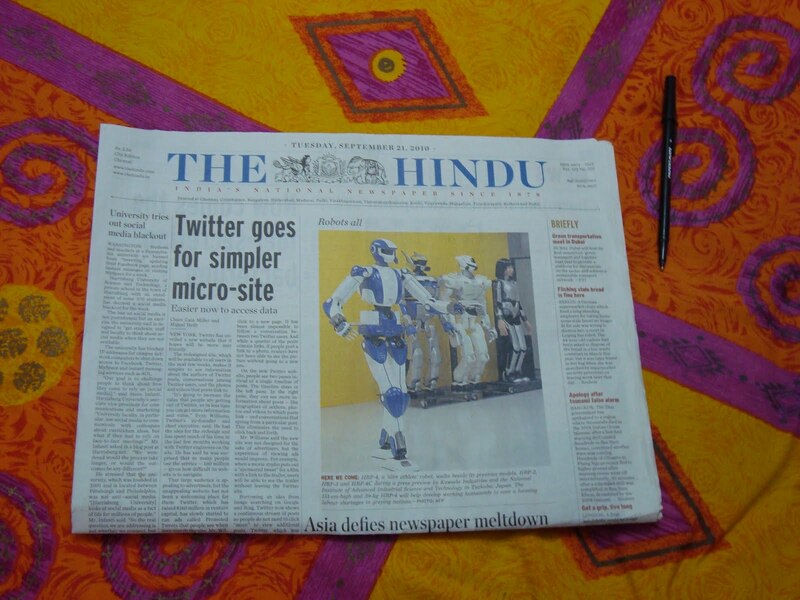 Also, I’m totally devoted to ‘The Hindu’ so the first paper I reach out to is this. But today was a shocker! I opened the paper and heard voices coming out of it! Literally! I thought the paper was talking! 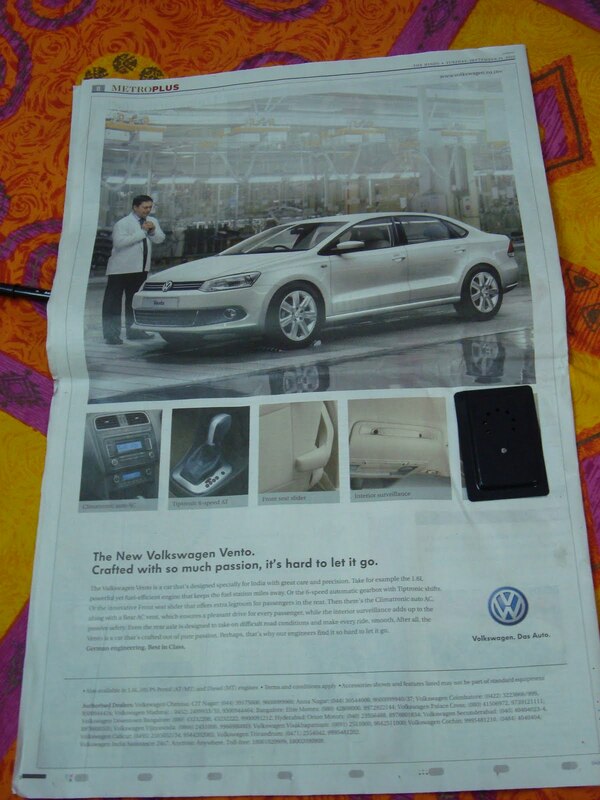 But it turns out it was a Supremely Awesome advertisement for a Volkswagen car! 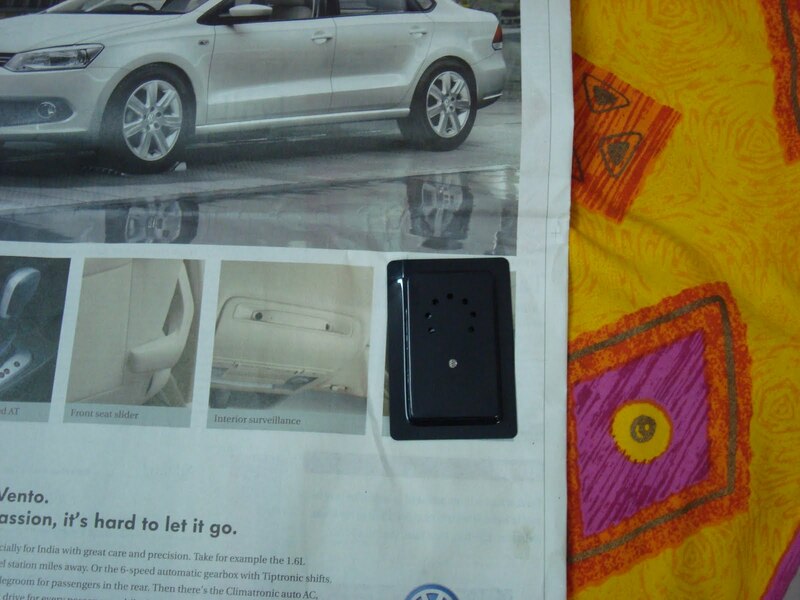 There was a small device attached to the back that kept playing “Something something Volkswagen’s (insert new car name) something something. Volkswagen. Das auto.” on a loop. It had a sensor type thing built in so that every time something covered it, like say, if you place your hand on it or flip the paper over, the audio stops! What a way to get your attention! And it was sooo cool!! My brother says its a lame car since it doesn’t have some Supremely Awesome features. It’s a Supremely Awesome advertisement!